BUJUMBURA, 17 July 2014 (IRIN) - Fifteen years after a peace accord called for its creation, Burundi is finally to set up a Peace and Reconciliation Commission (PRC) to examine crimes committed since 1962. But the controversies and disagreements that have dogged the mechanism since it was first mooted continue to reverberate, casting doubt on its efficacy, with the key concern being whether the commission’s purview will be selective. On 17 April, a voting process in parliament meant to set up the commission was boycotted by members of the opposition after they accused the ruling party, CNDD-FDD, of trying to concentrate in its hands the power to select those who sit on the commission. Civil society, too, waded into the debate, accusing the ruling party of trying “to shield its members who might have committed atrocities”. Government officials like Justice Minister Pascal Barandagiye have dismissed concerns over the commission’s impartiality or the lack of it. IRIN looks at the problems that have continued to bedevil Burundi’s reconciliation process. Why does Burundi need a PRC? Burundi needs transitional justice mechanisms to bring reconciliation after nearly five decades of violent conflict and gross human rights violations. “The country has always experienced political turmoil brought about by ethnic tensions and a feeling of exclusion and the tensions have continued and there’s need to find a mechanism to let the population reconcile,” Willy Nindorera, a conflict researcher in Burundi, told IRIN. Since independence from Belgium in 1962, possibly hundreds of thousands of people have been killed in ethnic conflict between Hutus and the minority Tutsis. Between 1993 and 2005, the fighting mainly involved the Tutsi-dominated army and Hutu rebel groups. The international community put pressure on the combatants to end the conflict through a power-sharing agreement in 2000 in Arusha, Tanzania. “Knowing the truth about past events that plunged the country into turmoil, and including knowing who orchestrated it, is important for any sustainable reconciliation and peace to be in place. Knowing the truth must be part of the peace process,” a civil society activist, told IRIN anonymously. What is the PRC’s mandate? Other than establishing the truth about the conflicts that have dogged Burundi since independence, the PRC is expected to determine the atrocities that were committed, and identify perpetrators and victims. According to the new law, the PRC will determine whether it is necessary to set up another institution to prosecute those found to have committed crimes. It will not have prosecutorial powers but might suggest that minor crimes be pardoned. Why has it taken so long to set up? Because of internal political disputes, as well disagreements between the Burundian authorities and the UN. The Arusha Accords (a key agreement between political groups in Burundi, signed in 2000) envisaged the setting up of two justice mechanisms - a PRC and a criminal tribunal - during Burundi’s first transition period, which ended in April 2003. Burundi’s ruling party was not party to the Arusha Accords and has always held the view that it is not bound by its resolutions. In 2004, a team sent by the UN to Burundi to assess the viability of setting up transitional justice mechanisms as per the Accords, recommended the following: A truth commission would “establish the historical facts of the conflict, determine its causes and nature, classify the crimes committed since independence in 1962, and identify those responsible,” and a special chamber within Burundi’s judicial system which would “prosecute those bearing the greatest responsibility for genocide, crimes against humanity and war crimes”. The UN Security Council supported these recommendations in 2005 in Resolution 1606. Disagreements between the UN and the Burundian authorities on “the fundamental principles related to the establishment of the two mechanisms, most notably, the non-applicability of amnesty for the crime of genocide, crimes against humanity and war crimes; the relationship between the proposed Truth and Reconciliation Commission and the proposed Special Tribunal; and the independence of the prosecutor of the Special Tribunal”, further added to the delay. “The numerous vested political interests and the lack of cohesion on how to set up these mechanisms have made it drag on for too long,” Nindorera, told IRIN. After a delay of several years, President Nkurunziza announced in July 2011 that a Truth and Justice Commission would be established in 2012. This, however, did not happen. On 17 April, the Burundian parliament passed a law allowing for the setting up of the PRC. Nkurunziza is expected to pick 11 commissioners to serve in it. While the president is on record as saying the PRC will be set up by end of July, members of the ruling party believe this will be impossible before August. What is the current human rights situation in Burundi? Ahead of presidential and parliamentary elections in 2015, human rights violations have spiked in Burundi in what analysts, opposition figures and human rights activists believe is Nkurunziza’s push to tighten his grip on power. The youth wing of the ruling party has increasingly become violent while disrupting opposition parties’ gatherings, and controversial constitutional reforms have been proposed. 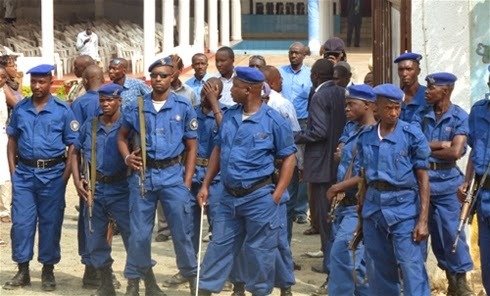 Pierre Claver Mbonimpa, head of the Association for the Protection and Defence of Prisoners and Human Rights (APRODH), and a prominent human rights activist in Burundi, was arrested in May for what state authorities described as “spreading information that could endanger state security”. In March, the government banned group jogging in the capital Bujumbura and accused the opposition of using such events as an excuse to organize an uprising. The deterioration of the human rights situation in Burundi has alarmed the international community. “Violence linked to the electoral process must be prevented, and harassment against perceived political adversaries must not be tolerated. All these are preconditions for free and fair elections in 2015 and for their results to be accepted by everyone,” Simonovic said in June. Reconciliation sounds good. What is the problem? The establishment of a reconciliation mechanism in Burundi has been more divisive than unifying. For starters, only the ruling party voted for the bill setting up the PRC. Opposition members boycotted it to protest against changes to the law to allow the president to pick PRC members. "The parties sitting in the National Assembly had left the scene and only the ruling party voted [in] the project,” Jeanine Nahigombeye, head of Impunity Watch, said. Civil society organizations have also raised concerns over the president’s role in picking PRC members. They, too, allege their inputs have been excluded in the law establishing the PRC. “The CNDD-FDD ruling party is a party to the conflict that we have known. It is not normal that a party that played a role in the past conflicts examines issues relating to reconciliation without consulting other parts of Burundi,” said Pacifique Nininahazwe, a human rights activist. Francois Kabura, deputy president of the National Assembly, however, tried to allay fears that the commissioners would be biased, saying only people with “credible credentials would be picked to serve in the commission”. A member of the opposition party told IRIN that the ruling party had been too obsessed with forgiveness at the expense of finding justice for past crimes. “We must forgive and move forward but those who committed crimes must be punished for it,” he said.